Close your eyes and imagine the synergistic hybrid of two gold-standard pieces of safety industy hardware…. the Stainless Steel D-ring and the COBRA® buckle. 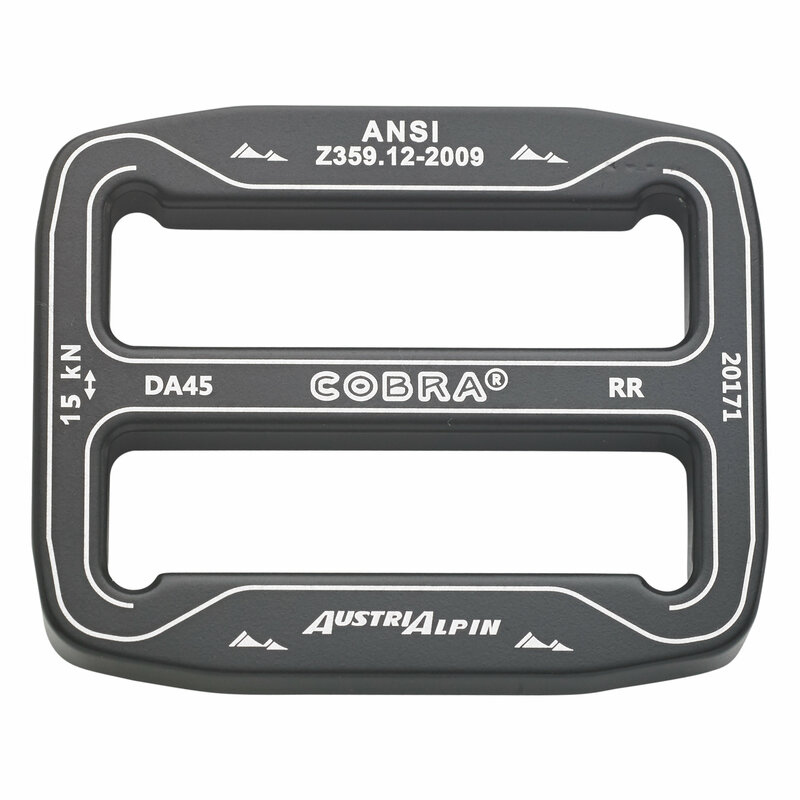 The latest AustriAlpin developement is a synergistic hybrid of two standard products of safety industry hardware: the parachute D-Ring and the ANSI COBRA®. 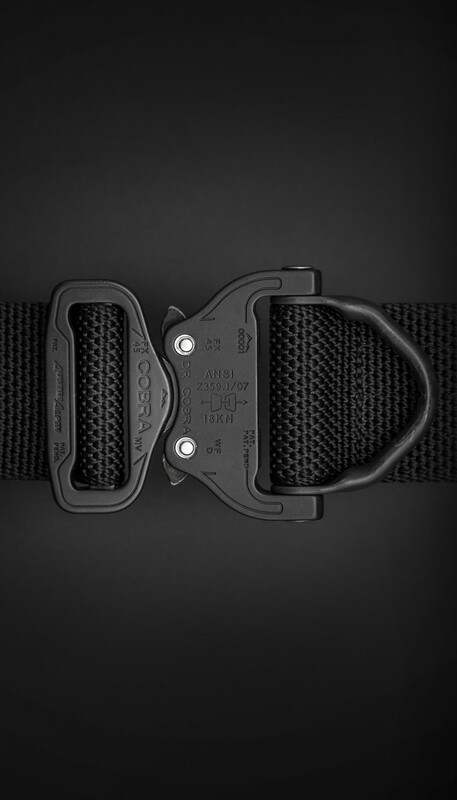 The unique construction allows a central positioning and prevents the D-Ring from getting squeezed against the webbing and therefore guarantees easy handling. 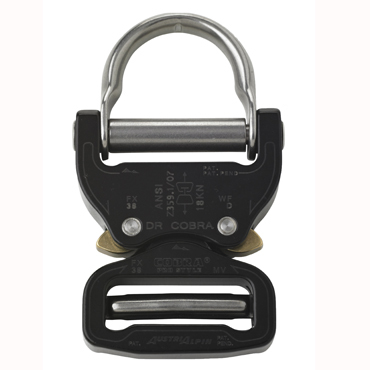 ANSI D-Ring COBRA® meets ANSI and CSA standards as well as salt fog and blowing sand test certifications. 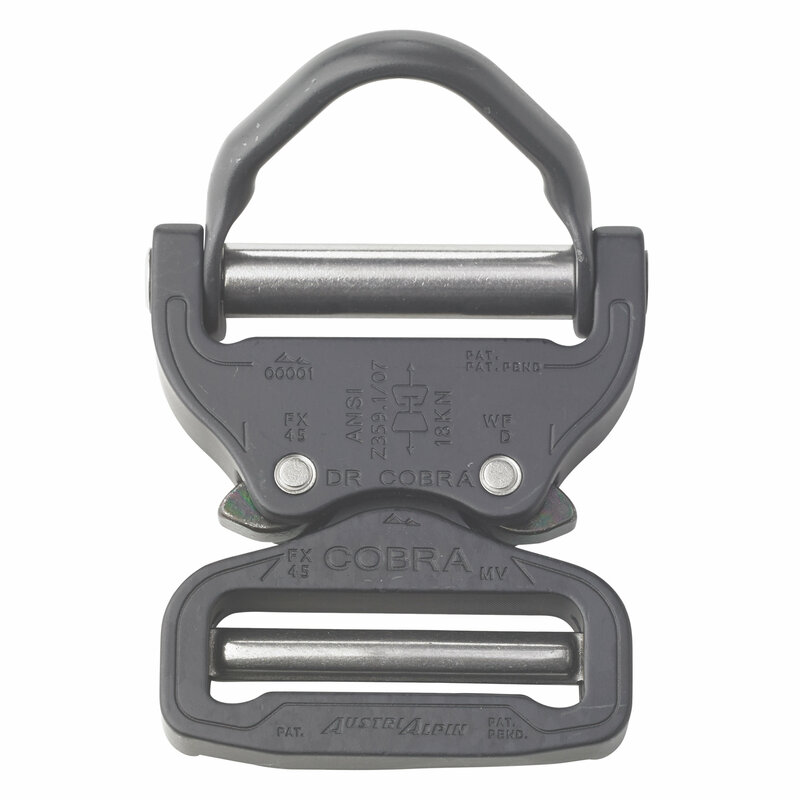 The COBRA® locking mechanism is patented and guarantees highest safety. 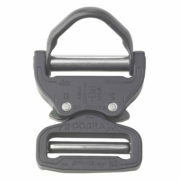 A one-sided opening of the lock is not possible even if the buckle is under load. 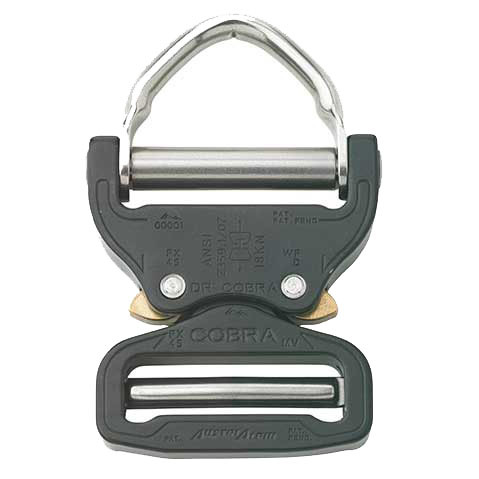 Not compatible with COBRA® Original. 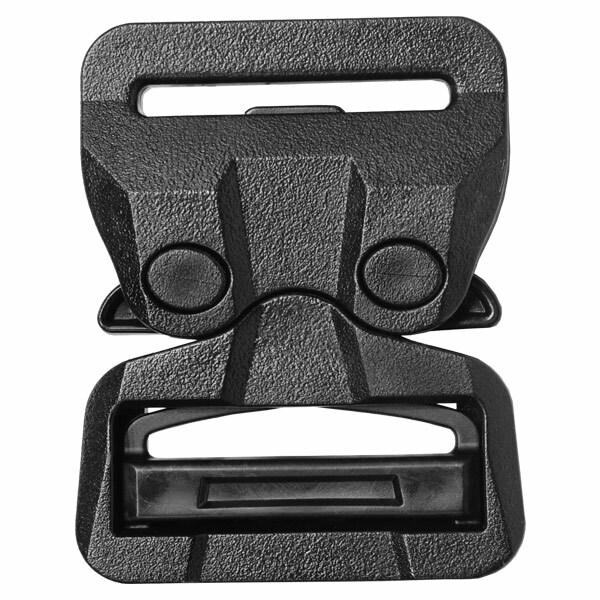 Available in anodized matte black with either a polished D-Ring or black oxide coating. 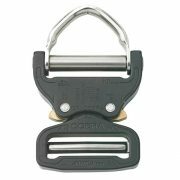 Buckle: 18kN / 4000lb MBS (straight pull). 36kN Loop configuration. 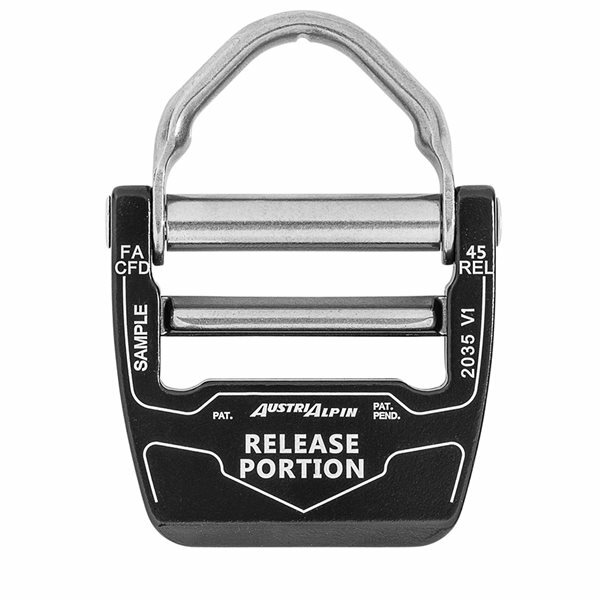 Dring: 22kN / 5000 lb MBS (straight pull). 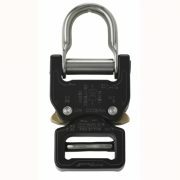 Far exceeds ANSI Z359.1, CSA, EN, UIAA, and NFPA standards for fall protection. 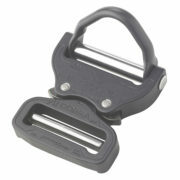 Made from 12mm – 7075 aluminum alloy. 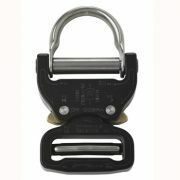 Stainless Steel adjuster, rivets, components, and D-ring. 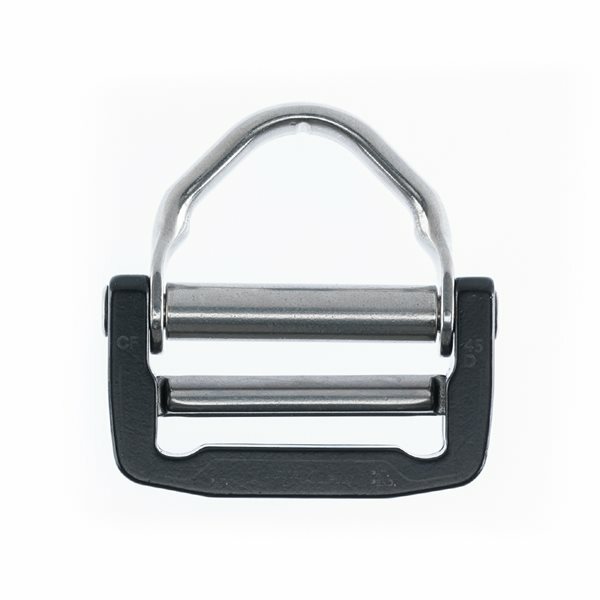 Brass clips. CNC Machined for flawless precision, reliability, and safety. No sharp edges. 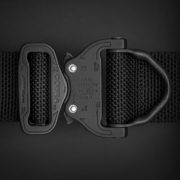 Military, Para-Sport, Industrial Safety, Offshore Rigging, Flight suits, riggers belts and just about anywhere else you find a D-ring and fastener / buckle.